LivingSocial is an online marketplace that specializes in selling discounted events, travel, and goods. Part of my time at LivingSocial was spent designing LivingSocial Escapes; a discounted travel booking platform. Our team was able to land discounted travel deals with a few different vendors, but at the time, the company didn’t have a way to book them on the website. We needed to build a travel booking platform. 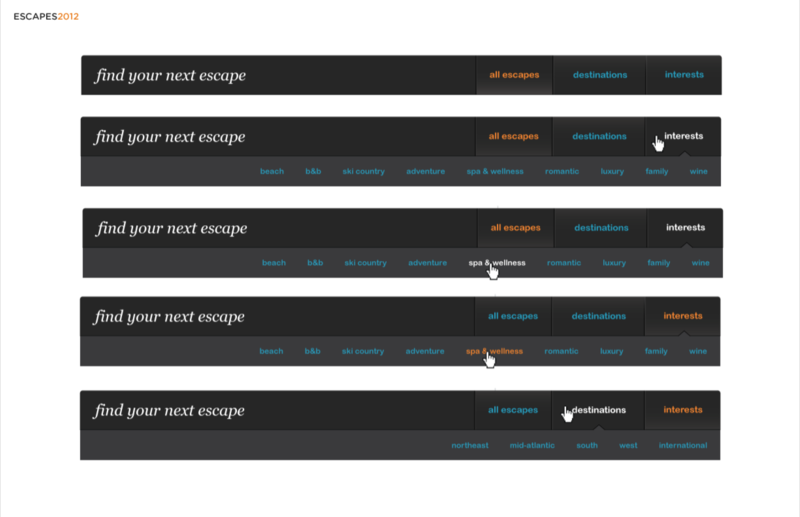 In designing the booking calendar functionality for Escapes, there were several states to be mindful of. This was also much more complicated in 2011 because we were using sprites (lol). I had to consider what the experience might be like with unavailability, expired days, sold out, available, etc. 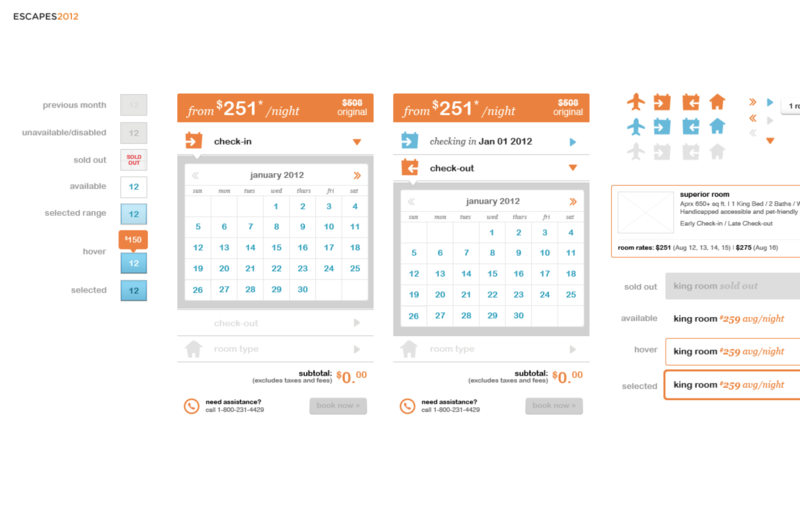 Users also wanted to see the price of each night (since that differed) on the hover of the date. The flow was linear, checking in, checking out, booking room type, and then purchasing. It’s funny to think about it now, but in 2012, mobile first was not yet popularized and the notion that that your average consumer would make $1000+ purchases on a mobile device was unthinkable. Nonetheless, it was essential that our users had the ability to book and purchase on their mobile devices. 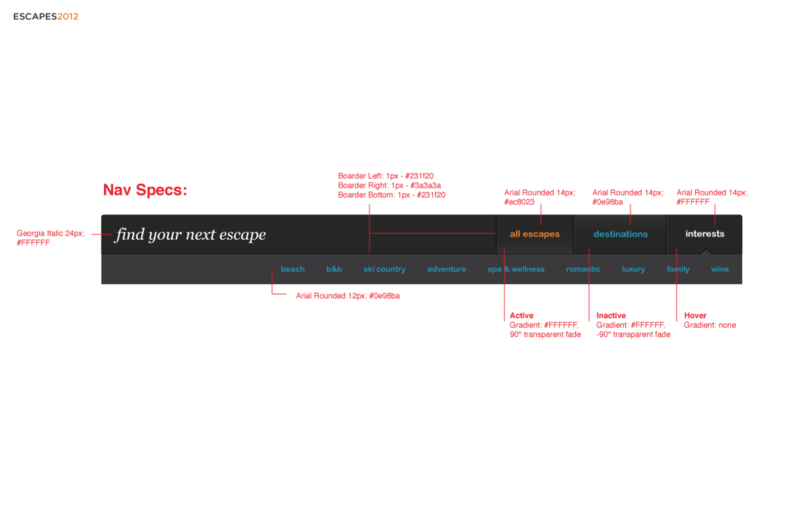 As part of the browsing experience, it was important that users could find what they were looking for quickly, but also had an element of discovery, inspiration, and delight. While they browsed the escape travel deals, it was essential that they didn’t hit a dead end. The ‘more like this’ section and the ‘browse by interest’ section were designed to provide alternate routes for browsing vacation deals. Because of how fast LivingSocial was growing at the time, teams were developing and products emerging and everything was just being thrown at the navigation. While the solution I designed wasn't the best it could have been (had the primary navigation been designed to accomodate), it was a solution that I believed worked, given the constraints of the primary navigation. The downside of the primary navigation was that you had several verticals, each having their own sub-level navigation.